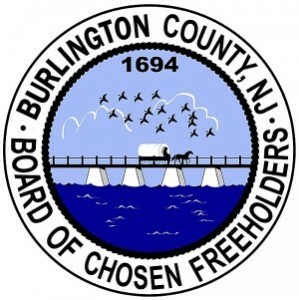 Burlington County Freeholder Mary Ann O’Brien has announced that the she will once again be holding “Sneaker Sunday” walks this summer throughout the Burlington County Parks System. Residents can look forward to discovering the expansive scenery and wildlife of the county parks on foot as all are welcome to participate in Sneaker Sundays, a summer-long program aimed at drawing residents to the park trails for a casual Sunday stroll. “Sneaker Sundays are a fantastic way for people of all ages to enjoy the expansive scenery and wildlife of our various parks while practicing healthy habits,” O’Brien said. Each month a different park will be featured for a walk led by O’Brien and a park ranger who, over the course of an hour or so, will point out the various habitats wildlife and bird species that can be found throughout the parks. Walks will begin promptly at 4 p.m. at each park’s information kiosk. No pre-registration is required. June 19 — Willingboro Lakes Park, 4154 N Rt. 130, Beverly — Formerly Olympia Lakes, this 105-acre park is open for walking, fishing, and bird watching. July 17 — Long Bridge Park, County Route 541, Hainesport — Long Bridge Park is a forested sanctuary along the Rancocas Creek that includes spacious picnic areas and plenty of wildlife observation opportunities. August 14 — Crystal Lake Park, Axe Factory Road, Mansfield — Crystal Lake is a very expansive park with a rugged feeling that provides the perfect wilderness experience. September 11 — Historic Smithville Park, Arts in the Park, 803 Smithville Rd., Eastampton — Smithville features beautiful river vistas and plenty of wildlife observation opportunities.